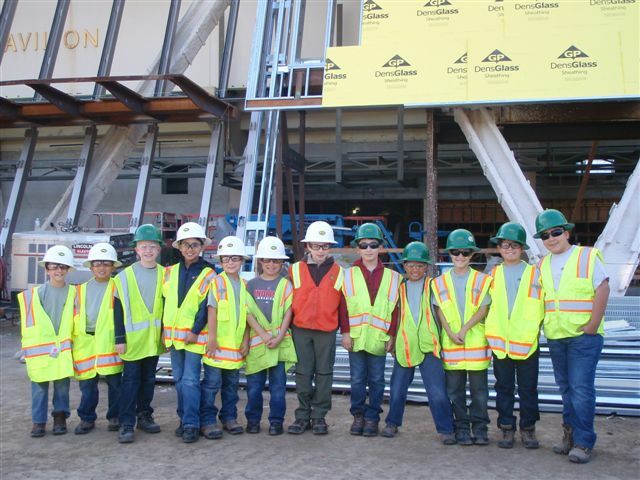 On Sunday, January 8, 2012, all eleven Stealth Bombers took a trip to UCLA’s Pauley Pavillion and met with former cub scout leader and engineer Mr. Mark Josten. The visit included a tour of the current contruction to the Pauley Pavillion along with some engineering lectures by Mr. Josten. A great time was had by all (even the USC fans) and the lunch stop at In & Out Burgers kept our future engineers from crumbling down!